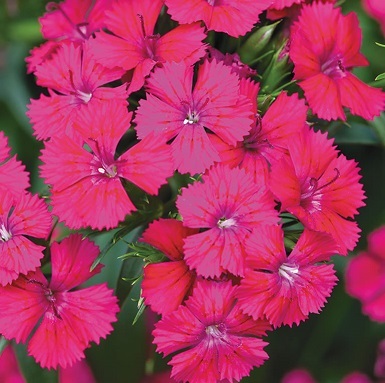 Dianthus Jolt Series Cherry - Brad's Bedding Plants, Inc. Jolt Dianthus is a new interspecific that can withstand hot summer conditions with few disease issues. Large flower heads bloom over strong dark green foliage on well-branched plant. Height: 16-20” tall and 12”-14” spread.